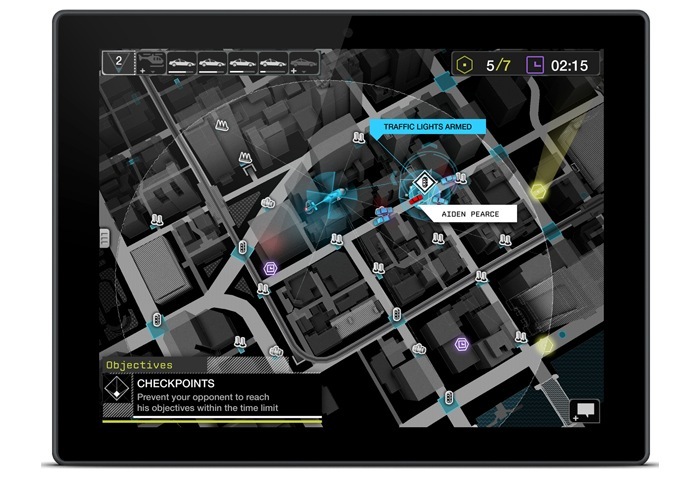 Watch Dogs players that enjoy hacking and navigating the streets might be interested to know that the new Watch Dogs ctOS Companion App, has now been made available on both iOS and Android devices. Using a mobile companion application Watch Dogs mobile gamers are tasked with the mission of stopping the gamers playing Watch Dogs via their consoles and if they assist then extra bonus points are awarded. “ctOS Mobile has two primary ways to play with your friends on console and PC: Race and Free Ride. Both modes are adversarial, pitting the console/PC player against the mobile player. On the console/PC, the player must race from checkpoint to checkpoint. Every time a checkpoint is passed, more time is added back to the clock. The goal is to reach the final checkpoint before time runs out. For a full list of all the supported devices for the Watch Dogs app on both iOS and Android operating systems jump over to the Ubisoft website for full details. The app also supports play via 3G, 4G and wireless networks. Enjoy!